« Wipeout Run Based on Hit TV Show Coming to a City Near You! I can not even begin to tell you how excited I am. According to a recent interview with Yahoo! 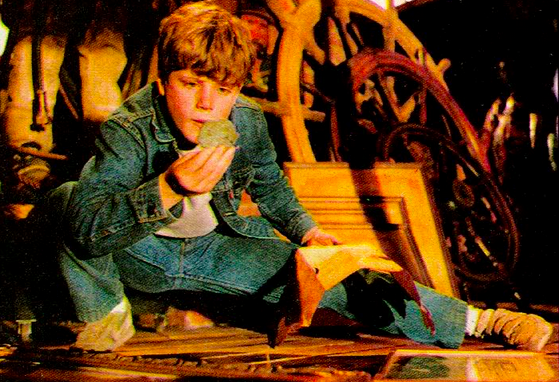 Movies, the 1985 cult classic “The Goonies” is being reimagined as an immersive theater show in New York City. Richard Donner, director of “The Goonies” explained in a recent interview that he is involved in recreating the film in a warehouse where the audience has no seats. Let us bow our heads and pray. Josh here. You know that guy who writes for that website that covers immersive theater even though it’s supposed to be about theme parks. Anyway, I know I have probably angered you by writing those horrible things about The Republic in Orlando. However, I assure you my love for your work still runs strong. Productions like Sleep No More and Then She Fell make my faith in you truly unbreakable. It is with this that I pray that you bring to the world what very well could be the most incredible entertainment experience that any 80’s kid would refinance their house in order to afford a ticket if they had to. 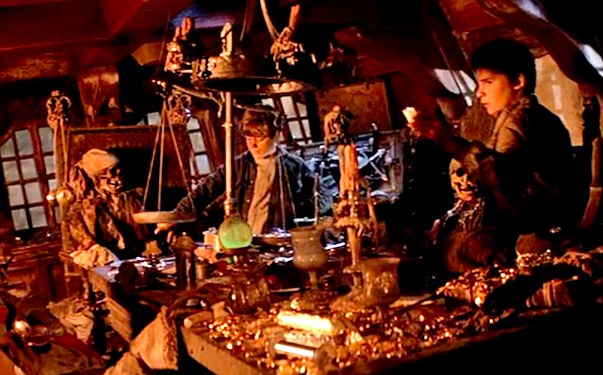 Bring back to The Goonies in the form of immersive theater. 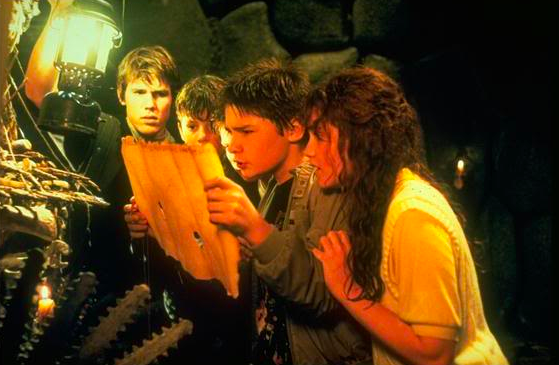 An underground grotto, waterslides, pirate ships and even being able to meet One-Eyed Willie? You make this happen and the world will rejoice. Praise be. Praise be. Make sure to follow Theme Park University on Twitter and like our Facebook Page! Doing any online shopping? Click the Amazon links on this page and it helps us and costs you nothing extra! This entry was posted in Immersive Theater, Outside The Parks and tagged immersive theater, Sleep No More, The Goonies, The republic, Then She Fell. Bookmark the permalink. Trackbacks are closed, but you can post a comment.